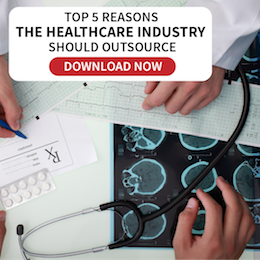 As the healthcare industry continues to prosper in a global scale, health care providers are faced with the great challenge of maintaining the highest quality of healthcare services while still managing administrative tasks for business operations. In order to ensure the timely inflow of payments for the services rendered to insured patients, an efficient and organized medical claims processing system must be in place. 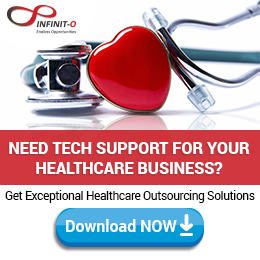 Outsourcing your Medical Claims Processing to Infinit Healthcare gives you an assurance that your medical claims are free from errors, thereby removing the chances of payment delays. Only expert medical claims processing professionals will get to handle your medical claims. Infinit Healthcare has a pool of experts who are equipped to fulfill your medical claims processing requirements in an efficient and swift manner. Infinit Healthcare’s approach to medical claims processing empowers our clients to focus more on offering the best quality healthcare by having our team handle the minute details that take up the entire medical claims processing cycle. From the application stage, validation check, calculations, and administration and follow-up, to managing some others tasks that are part of the entire process, our dedicated team will ensure to deliver maximum accuracy. Infinit Healthcare services assure you of the great focus we will place on your medical claims processing needs – from start to finish – to ensure that these claims would be correct and be approved immediately. Infinit Healthcare’s medical claims processing experts are knowledgeable with the health insurance industry and has firm grasp of medical terminology and health coding. They have exceptional communication skills and excellent attention to details that connects you, your patients, and the health insurance companies smoothly. 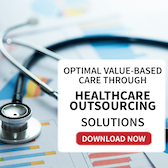 Infinit Healthcare has invested heavily in a reliable and robust technological infrastructure that supports the excellent delivery of our medical claims processing services. This is maintained regularly and meticulously to ensure there will be no downtime and all information and procedures are intact. We have been awarded with ISO 27001:2005 Information Security Management Systems certification of our policies and procedures that assures you of our commitment to patient-client data confidentiality. With our state-of-the-art facilities’ controlled access restricts information accessibility to keep you and your clients’ information secured and confidential all the time. With Infinit Healthcare, we will combine business insights and innovative technologies with real-world experience to deliver a streamlined claims processing to your business.